Our annual PTA Walk-a-thon has kicked off and we need your support to reach our $25,000 goal.Walk-a-thonis the PTA’s biggest fundraiser of the year; money raised is for our general budget, which funds all our teacher grants, events and programs. Your Clark PTA organizes and runs the Walkathon, which allows all the money collected to stay here at Clark. EVERYCHILDat Clark benefits from the programs, grants and events provided by your PTA. Join our online fundraising team by 4/15 to be eligible for our first prize drawing. Use this site to donate, share the event through social media, and personalize the fundraiser for your child. Your student will be bringing home a Walkathon letter, which includes a donation sheet where donations can also be collected, and incentive tickets that can be returned for entry into our weekly prize drawings. Simply complete the task listed on the ticket and return completed ticket to school as tasks are completed. Help your child’s class win an ice cream party; class with the highest participation % rate wins. The class that fundraises the most money in donations by 5/3 wins a PIZZA PARTY. We will update our fundraising progress and Class competition standings weekly on Facebook. Contact Erin at Treasurer@Clarkpta.orgwith questions. MAKE SURE YOUR STUDENT GETS A YEARBOOK! ORDER BY April 1st for the presale cost of $16 and be guaranteed a book. 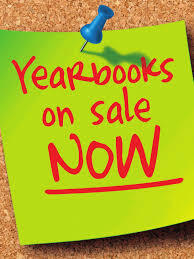 Starting April 2nd, Yearbooks increase to $24 and will be available on a first come first served basis. Contact Treasurer@Clarkpta.org with ordering inquiries. Mark your calendars for 7 p.m., Saturday, May 18th! The Clark PTA is offering discounted tickets to the Mariners v. Twins game, where our very own Clark Shark Choir will sing the National Anthem! So get ready to head out to the ballgame with your family and Clark Shark friends to support our choir and catch on awesome night of baseball! View Level tickets are $20 and Main Level tickets are $40. Order here! Please make sure to complete your volunteer application since it can take a couple of weeks to process.